Look smashing hot this wedding season with the perfect silver and gold eye makeup looks. Here is how to achieve it! With wedding season coming soon in full swing, everyone is all set to pull out their glitter and glamour. With the bling effect in your jewelry and your outfit all set to dazzle, how can you forget to add some of that sparkle to your makeup as well. That’s right – gold and silver eyes are all the rage this upcoming wedding season and have been making their mark on the runway for all the designers wedding collections as well. 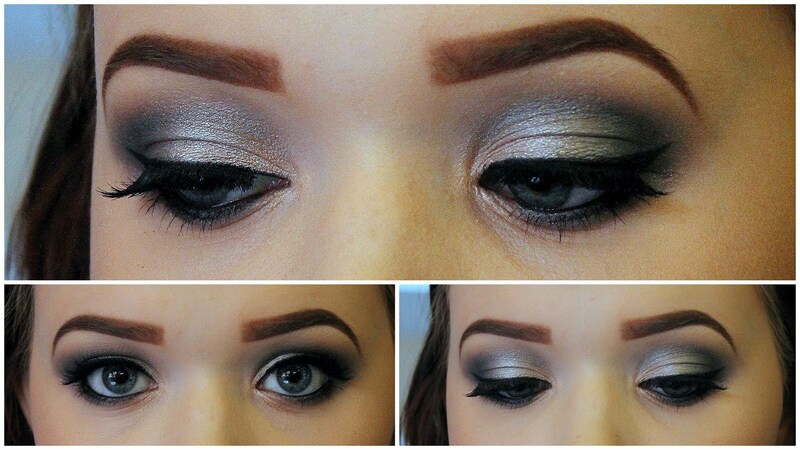 Not sure how to apply gold or silver eye makeup? Well! What are we here for. Take a look to find out how to apply flawless shimmering eye makeup for you to look great at every wedding you attend this season. 1. Silver Eye Makeup: Start by applying a primer to the eye area. Silver makeup is delicate and needs a good and solid base so that it can stay for a long duration. Blend the primer in using your fingers and then apply a layer of foundation that is closest to your skin shade. This helps to make the eyes look brighter and awake and prevents any creases or wrinkles from destroying the makeup. Now start with a light silver base to give it a slight shine. Apply it to the entire lid right till the crease. Next, apply a black eye shadow near the lash line. This adds definition to the eyes and also gives it a slight smoky effect which perfectly balances the metallic shimmer of silver. Now apply a high shine silver eye shadow to the centre of the eyelid. Press the color in with your finger. This helps it to stick to the skin and set well and prevent smudging. To brighten up, the entire look apply a small amount of white eye shadow to the inner corner of your eyes. This opens up the eyes and makes them pop and look bigger. Now apply a black liquid liner and define the thickness as you desire. For a bold and brazen look apply thick strokes till the corners of your eyes. If you want a more demure and delicate style, apply a thin stroke along the lash line and add a flick at the end. Finish off with mascara to make your lashes look voluminous and give the makeup a complete look. 2. Gold Eye Makeup: Start off by applying primer and foundation as indicated previously. Now lightly apply your favorite shade of gold eye shadow all over the eye lid. Gold shadow sometimes needs to be applied consistently till the color actually becomes visible, so be patient. Now use a bronze colored eye shadow and apply it along the crease of the eyelids. This helps to create depth and define the eyes. Next apply a black liner as desired. It is best to opt for a delicate liner with gold shadow as you do not want it to look over done. Curl your lashes, apply mascara, and voila, you are all set to shimmer.